The Spa at Nita Lake Lodge, in Whistler B.C., introduces new HydraFacial treatments to further enhance the resort’s wellness offering. Launching on November 23rd, guests can choose from a selection of soothing, moisturizing and non-invasive treatments to help re-invigorate skin and promote well-being. Using patented technology, HydraFacial is the only hydradermabrasion procedure that combines cleansing, exfoliation, extraction, hydration and antioxidant protection simultaneously, resulting in clearer, more beautiful skin. Five different options allow guests to customize HydraFacial treatments for tailored results: the Foundation HydraFacial ($199) is a 30 minute treatment that includes deep cleansing, extraction and hydration through super serums full of antioxidants, peptides, and hyaluronic acid; or guests can choose the Pure HydraFacial, with three invigorating options: Radiance ($250), Clarifying ($225), and Age-Refinement ($250). Each includes all of the essentials from the Foundation HydraFacial, while addressing specific skin concerns through HydraFacial’s active boosters. 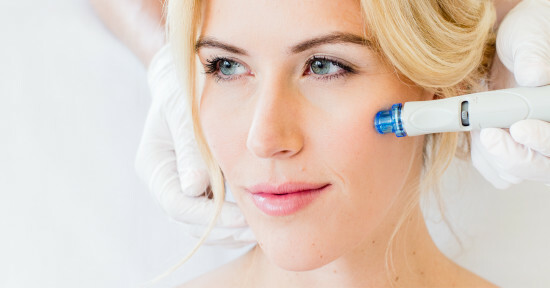 For the ultimate, customized HydraFacial experience, guests can enjoy Nita’s Signature Premium HydraFacial ($325). Following a luxurious cleansing massage, the anti-inflammatory detoxification process begins with lymphatic drainage, followed by the Foundation HydraFacial. CTGF Boost, HydraFacial’s most effective active concentrate, is delivered deep into the skin while guests relax into a restorative and uplifting neck and shoulder massage. This high-performance ingredient improves the appearance of skin tone, texture, and elasticity. To assist in further reducing the visible signs of aging, the treatment concludes with LED Light Therapy. Upon completion, guests can float back to their guestroom or enjoy the spas amenities to enhance relaxation. Nita Lake Lodge has established itself as Whistler’s leading wellness retreat, with many options for those looking to reset and revive. The Nita Sleep Therapy package is crafted to promote restorative sleep, with a harmonizing 75-minute Kundalini massage – Nita’s signature treatment using chakra and sound healing to realign the body’s rhythms and restore balance – organic lavender bubble bath, Nita wellness roll-on, blended in-house, and a Zirbenherz Sleep Therapy pillow filled with the finest pinewood flakes that promotes natural sleep by boosting mood and relieving mental and physical fatigue. 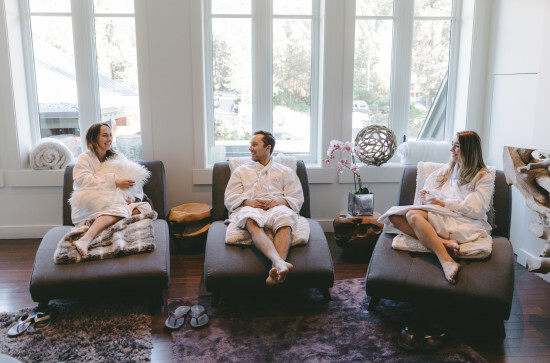 The Spa at Nita Lake Lodge was recently voted as one of the Top 25 Spas in Canada, in the 2018 Canadian Spa & Wellness Awards, presented by Spa Inc. Magazine and Leading Spas of Canada. This holiday season, The Spa will be hosting a Beauty Pop Up, offering Laser Genesis and TruSculpt treatments from December 22nd, 2018 to January 4th, 2019. Both breakthrough treatments help reverse the signs of aging, targeting problem areas of the body including sun damage and cellulite resulting in a vibrant, healthy complexion – perfectly timed for the festive season! For more information or to book your spot, visit www.nitalakelodge.com/spa or call 604-966-5715.